Because any foods that are crunchy, chewy, or hard to bite into can damage brackets and wires, it’s time to freshen up your go-to snack list. Luckily, Dr. Gerald Spencer can recommend many healthy and braces-friendly choices when children need something to tide them over until dinner. You are constantly looking for ways to make your children’s lives better. Mix and match any of these foods for a snack that’s not only good for their braces, but good for their teeth and bodies! Let us know your child’s favorite snack the next time you visit our Sedalia or Knob Noster, MO office! If creative recycling is one of your talents, you might have already discovered how handy repurposed brushes are for cleaning delicate or hard-to-reach spaces around the house. But those old brushes don’t have to spend their entire existence cleaning! 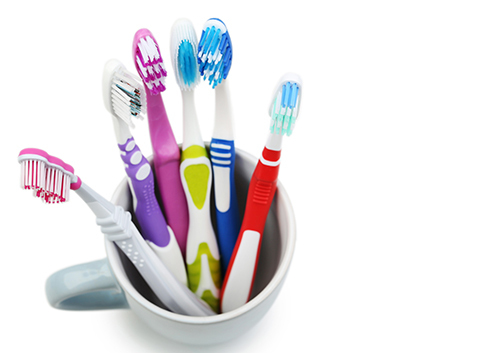 Here are some ideas from Dr. Gerald Spencer to give a new, artistic life to your old, uninspired toothbrush. 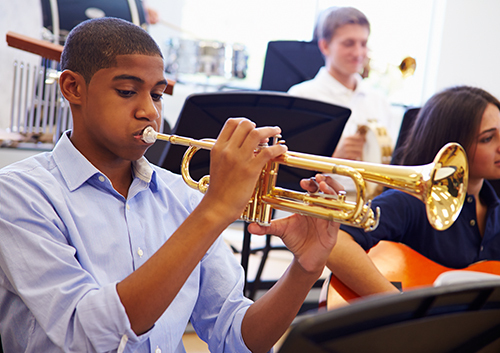 Let Dr. Gerald Spencer know if you play, or plan to play, a wind instrument. We might be able to offer some suggestions. For regular metal and ceramic braces, some musicians find extra wax is helpful in preventing lip and cheek injuries. There are brace guards available that can be applied over the braces to protect your lips and mouth if wax doesn’t do the trick. Above all, take care of yourself! If something is poking your lip or cheek, call our Sedalia or Knob Noster, MO office immediately before it causes injury. It might be difficult at first, but finding an embouchure that works for your comfort and technique is worth it. And remember, these temporary fine-tunings will lead to a wonderful coda: skilled musicianship and a beautiful, healthy smile. Bravo! Two-phase treatment is not necessary for every child. But there are some unique reasons that early orthodontics might be recommended for your child, even if it’s clear that more orthodontic work will be needed later. 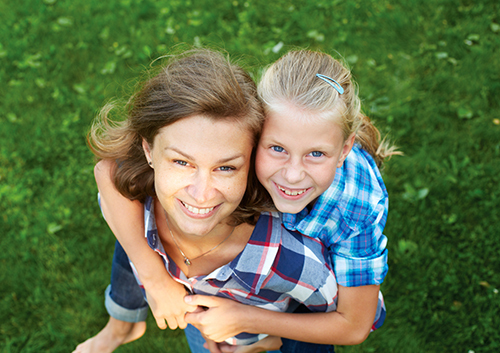 Make an appointment with Dr. Gerald Spencer at our Sedalia or Knob Noster, MO office, and let’s evaluate your child’s orthodontic needs, whether now or in the future, for a lifetime of beautiful smiles.